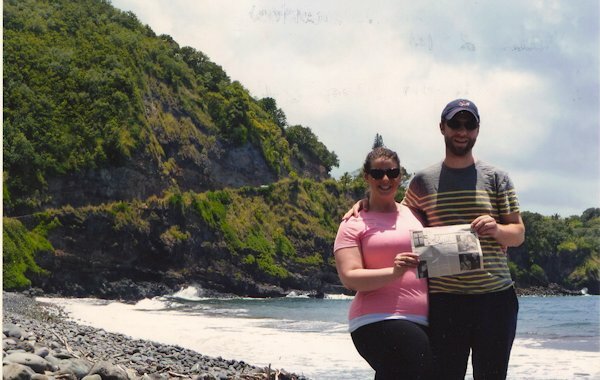 "The Quill" made a trip half way around the world and landed in Maui with Jessica Kane Hatton and her husband, Stuart. Jessica won an all expenses paid trip for receiving the Chairman's Award as top performer for the investment company, Charles Schwab in Chicago. They stayed at the lovely Grand Wailea Resort. Jessica is the daughter of Greg Kane of Willowbrook and the granddaughter of Larry and Mary Ann Kane of La Harpe.